Derbyshire Marketing agency Purpose Media has welcomed a rising star to its client account management team. Georgina Staley joins the South Normanton-based creative firm as an account manager, where she will be tasked with developing closer relationships with key clients and managing their marketing needs. The 24-year-old Derby native had previously worked as a marketing and administrative assistant at inward investment organisation Marketing Derby, where she was responsible for working with its 350+ bondholders, providing support at events and in the office and planning Marketing Derby initiatives. She has a BA in Dance from the University of Lincoln and worked briefly at Derby QUAD after graduating in 2016, prior to joining Marketing Derby. Away from work, Georgina enjoys travel, baking and kick-boxing. She has also been a Latin and ballroom dance teacher and a cheerleading coach. “I’m delighted to be joining the team at Purpose Media, which has established a strong reputation as one of the leading marketing agencies in the Midlands. 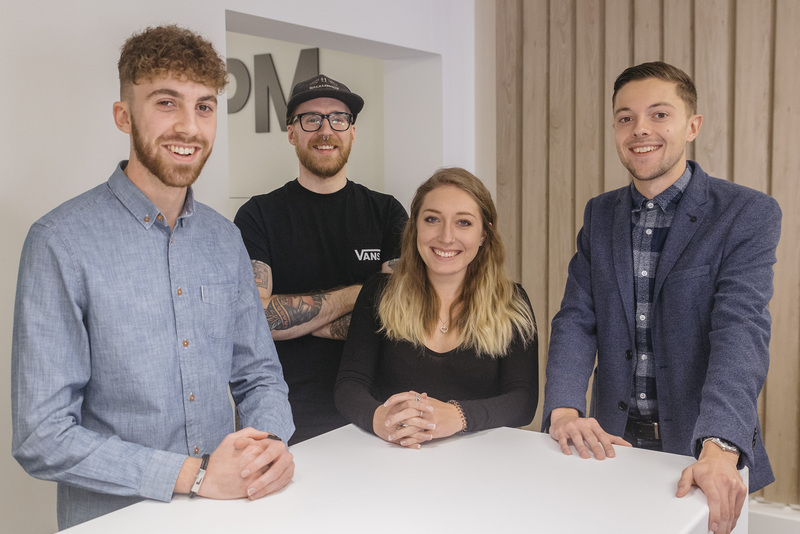 Purpose Media has also promoted Seb Wilson to the role of project manager, where he will be supporting account managers in the successful, accurate delivery of activity for clients. Seb joined the company as a customer support apprentice in 2016 and was support desk manager prior to his promotion.